The word “photography” is a combination of two Greek words that mean “light” (photo) and “write” (graphia). The name itself already highlights the importance of light. But, light is not always abundant. Evenings are the obvious example. Other low light situations are not always as obvious. Indoor photography sometimes involves low-light photography. For those who want to improve their low-light output, Ismail Sirdah has some tips for you. The obvious solution to not having enough light is to add to it. In photography, this is where the flash comes in. But, using the flash is not always ideal. First, there are some situations where it is inappropriate to use one. An example would be at the theater. Another issue with using the flash is that it can sometimes produce flat pictures. The flash illuminates the subject only from one direction. As a result, there is not enough shadows or shadings of light to create depth in the photo. The solution to this is to be aware of different light sources so they hit the subject at the right angles. If you are able to plan ahead for the photo session, bring more than one light source to achieve good photographs. The ISO measures the camera’s sensitivity to light. A high ISO means a brighter picture. You could use an ISO setting within the range of 1600 to 3200. The problem is that a high ISO setting produces noise in photos. These are when the photos do not appear smooth. Instead, they look grainy. The flaws get more pronounced the more the picture is enlarged. Fortunately, the problem of noise can be solved in post-production. There are software programs designed to specifically address noise in photos. The shutter speed determines how much light reaches the sensors of the camera. Think of it as a door. If it shuts quickly, then the less light enters. If you need more light for the picture, then you must give it more time to enter. Use a slow shutter speed. One thing you have to consider with a slow shutter speed is the risk of blurring. You can remedy this by using a tripod, so the camera is held steady as it absorbs light. In a nutshell, the aperture is the opening of the lens. A bigger aperture means that more light can come in. It is one way to remedy the low-light conditions. There can be some confusion in the aperture setting, especially for beginners, because the larger settings mean smaller aperture sizes. For example, an aperture size of F/2.8 is bigger than F/22. This method works best with a single subject. A bigger aperture means a narrower area of focus or depth of field. Using a large aperture means that you are focusing on a single subject and everything else around it will look blurry. Tripods are necessities when it comes to low-light photography. A lot of the tricks depend on increasing the light that enters the camera. The tripod will give you sharper images despised the longer exposure period. Some cameras have a stabilization feature. It makes automatic adjustments for the natural shakes of humans. These can also be used to take steadier pictures; but, they come second to a tripod’s capability. There are some camera models that offer preset settings for different situations, including low-light conditions. These templates often have descriptive names like incandescent or cloudy. Simply choose the appropriate setting and shoot the photos. Shooting in low-light conditions might require the photo to be processed later on the achieve the best effect. Be prepared for this situation by making it a habit to shoot in RAW format. This format means that your pictures are stored as unprocessed data and has the light intensity values. The RAW format’s advantage is that you can later process them any way you want because the data is in its original form. A photo processing software can make adjustments to light, color, and shadow to improve the picture you took. Take the disadvantage of low-light conditions and turn it into a benefit. Use the minimal light source to highlight the subject of the photo. For example, you can put the person in a pocket of light so he or she is highlighted. The camera might have a hard time sensing where to focus when there is not enough light. When this happens, you will end up with blurry pictures. What you can do is to switch the digital camera setting from automatic focus to manual focus. Turn the focusing mechanism until the subject is clear. 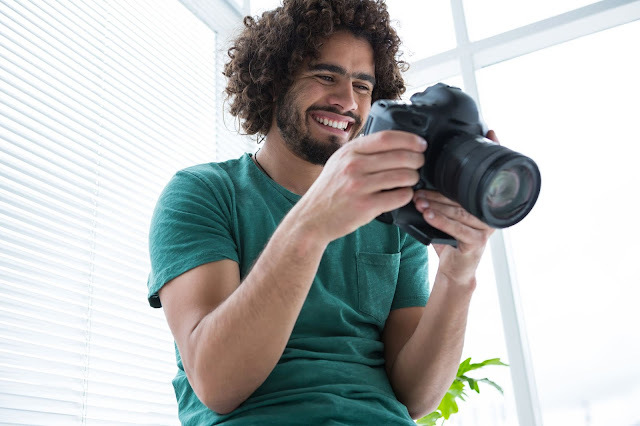 If you were to summarize these Ismail Sirdah tips, you can say that the most important part of low light photography is knowing how to work with the features of the camera. Choose a good model, to begin with and read the manual. Your photographs will show the difference.